KPMG has joined the ranks of consulting giants looking to take a slice from the customer-led marketing supplier pie, launching a new marketing advisory practice and acquiring Australian market research firm, Acuity Research and Insights. The new Customer, Brand and Marketing advisory venture was officially launched this week, and is being led by partner, Paul Howes. The practice is being bolstered by the acquisition of Acuity research and Insights, which has built a reputation in customer experience and satisfaction research, along with brand health, corporate and stakeholder communications strategy and employee engagement. As part of the acquisition, Acuity founder, Amanda Hicks, joins the new KPMG advisory practice as one of six partners. In total, KPMG’s Customer, Brand and Marketing practice has 43 staff and will focus on providing customer experience strategy and design, customer journey mapping, sales and channel transformation, marketing and product transformation, service transformation and customer insights. The company said the new practice will also work closely with UK-based KPMG Nunwood Customer Experience Excellence Centre. KPMG Australia CEO, Gary Wingrove, noted customer experience at the top of the CEO agenda, but said many lack sophistication and maturity. For example, according to the consulting group’s recent study of global CEOs, 45 per cent believe their depth of customer insight is hindered by a lack of quality customer data, a number that leaps to 61 per cent in Australia. In addition, KPMG’s research found 89 per cent of Australian CEOs feel a growing responsibility to represent the best interests of their customers, but only 59 per cent are currently evaluating the impact of change or investments on their customers. Howes flagged more acquisitions as the Customer, Brand and Marketing advisory shores up its position in the local market and said he’s also endeavouring to recruit more talent. KPMG’s acquisition of Acuity is just one in a raft of acquisitions undertaken by consulting groups looking to extend their reach into the marketing sphere. Its rivals, Deloitte and Accenture, have also been busy buying up agency capability to round out their customer and digital marketing advisory consulting, implementation and agency services. Just last week, Deloitte formalised its acquisition of digital communications agency, The Explainers, saying the team will form a new operating unit within its Customer practice focused on helping clients better articulate their brand story. Other purchases made by Deloitte over the past 12-24 months include Sydney-based Cinder Australia, which became part of its Customer Behaviour team, virtual reality player, Kid Neon, social analytics adviser, Digivizer, technology integration shop, SixTree, spatial design and CX group, mashup, Oracle implementer, Dataweave, and cloud infrastructure advisory firm, Cloud Solutions group. 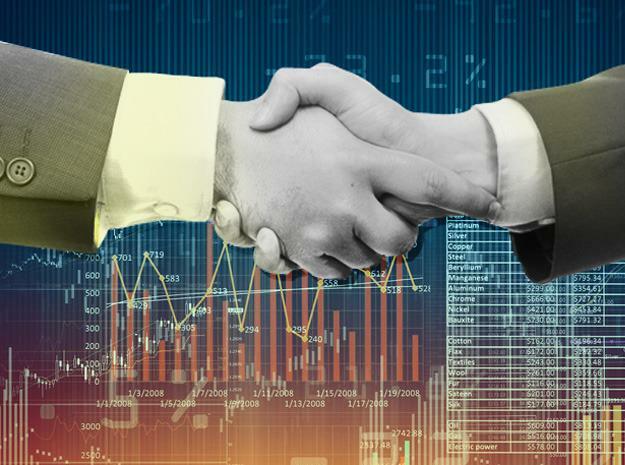 Accenture’s local acquisition list, meanwhile, has included creative and design agencies, The Monkeys and Maud, digital agency, Reactive Media, design and innovation consultancy, Fjord, and digital marketing company, Acquity Group.